Freight Solutions For All Your Shipping Needs! 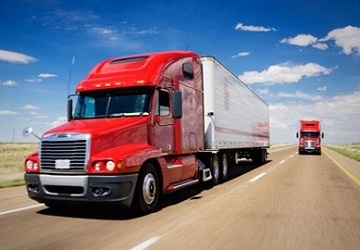 If you're in need of a Trucking Solution, Coast to Coast Trucking, Inc., as a fully licensed logistics company, offers both Full Truckload and Less Than Truckload (LTL) services expanding coast to coast, boarder to boarder here in the United States, as well as, into Canada and Mexico. If Rail is the best option for you, we offer door to door service in this mode of transportation as well. If you're in need of Ocean Transportation, Coast to Coast Air, Inc. has negotiated partnerships with all the leading ocean carriers, which in turn allows us to offer competitive rates and flexible transit times. We are licensed through the FMC and carry an NVOCC license for any Door to Door, Door to Port, Port to Port, FCL, or LCL shipment needs you may have. If you're in need of Air Transportation, you can count on Coast to Coast Air, Inc. as an IATA certified air carrier to help with any domestic or international, door to door and door to airport delivery, whether it’s priority overnight, economy, charter or next flight out service. As a TSA certified Indirect Air Carrier (IAC), we can also handle any of your highly sensitive air shipping needs as well. Why Choose Us As Your Trusted Freight Partner? Coast to Coast Trucking, Inc. and Coast to Coast Air, Inc. has been in business for 20 years. Our founding partners and logistics team members have over 75 Years of experience in the transportation industry. If you’re in need of moving freight domestically or internationally, please allow our dedicated and experienced logistic professionals prove to you that we have what it takes to earn your business. Along with our vast experience, we will spare no expense in providing our customers with the very best customer service in the transportation industry today. With customers large and small, we treat each customer of equal importance and their customer satisfaction truly is our #1 goal. It only takes one phone call to track the progress and receive expert support for any shipment in transit. As a customer, you will have supreme confidence knowing that your shipment is in good hands with an experienced global transportation service provider. Our complete range of Truckload, LTL, Rail, Air and Ocean services, along with our vast global network of trusted carrier partners will have you covered for any domestic or international transportation needs you may have. Are you a trustworthy carrier looking to partner with a growing global logistics provider? We're adding reliable, dedicated carriers who meet our high expectations. In turn, we'll meet yours - with Quick Pay and volume to get you there and back. When it comes to our customers, their needs come before anything else. If dependability and integrity sounds like a good fit for your company, let’s talk! "In many cases, the most appropriate option may include multiple means of transport. Here at Coast to Coast Trucking, Inc. and Coast to Coast Air, Inc., we combine our worldwide multimodal network to link, roadways, railways, airways and shipping lines into one dependable, cost effective service." "We are a fully licensed freight Forwarder and leading logistics organization located in Cocoa, Florida USA. We provide personalized, innovative logistics solutions for our thousands of customers, large and small, throughout the world!" What's the difference between a FTL shipment and a LTL shipment? What all is involved when moving an International Shipment? The movement of an International Shipment can be quite confusing due to the variables involved and the different types of companies involved that handle a portion of the shipment. Examples of the different variables include: Air or Ocean shipment, Door to Door, Door to Airport/Ocean Port or Airport/Ocean Port to Airport/Ocean Port. Examples of different company types include: Domestic and International Freight Forwarder, Air/Ocean Carriers, Drayage Company, Cartage Company and Customs Brokers. How many times is a (FTL) or (LTL) shipment handled? A Full Truckload (FTL) shipment is generally handled only 1 time. The shipper loads the freight on the truck and puts a seal on it, the truck travels straight to its destination, and the consignee at destination will break seal and unload the truck. There is very little chance for damage to the freight. A Less Than Truckload (LTL) shipment will be handled many times depending on how far the shipment is traveling throughout the carrier's network and will be loaded "high and tight" with many other customers' shipments, between each of the carrier locations. There is a far greater chance for damage to a shipment when moving it by LTL, because of the number of times it is handled, compared to a truckload movement. What are the variables involved with the pricing of an LTL shipment? When moving an LTL shipment, you are renting space on a trailer and your shipment will loaded on that trailer with many other shipments moving towards your destination. The variables that determine the price of your LTL shipment include: distance the shipment is traveling, number of pallets, dimensions of the pallets, weight of the pallets, classification of the freight and if any additional services are needed during the move, such as; lift gate pickup or delivery, limited access pickup or delivery, and residential pickup or delivery. There are additional variables, but these are the most common. What does it mean when an LTL shipment is Re-Classed? When an LTL shipment is moved, the document that the shipment is moved on is called the Bill of Lading (BOL). 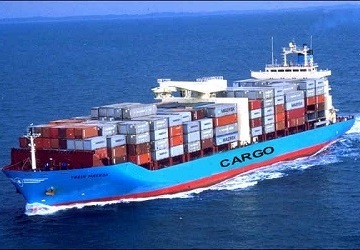 On this BOL, along with information such as; origin address, destination address and who the carrier is etc, the NMFC class number, the description of the freight and the total weight of the shipment is also listed. The class of freight describes what the commodity is being shipped and it must match the description listed. If they don't match the shipment will get re-classed and the price will be adjusted. If it is a dimensional item being shipped and the weight is incorrect or the dimensions of the pallet is incorrect, the shipment will be re-classed and the price adjusted. Generally ALL LTL shipments will be re-weighed when it arrives back at the carrier's origin terminal, before being moved on to its final destination. If the weight is off by 25 LBS or more, the price for the shipment will be adjusted to include the additional weight. Why do Re-Classes and Re-Weighs occur on LTL shipments? For economic reasons, all LTL carries have it down to a science of how many shipments they can legally fit on their trucks, based off of class type and weight of each shipment. LTL carriers determine their shipping charges based on the total shipment weight (including the packaging materials, i.e. boxes, pallets, etc.) and the freight class /NMFC of the items being shipped, as determined by the NMFTA (National Motor Freight Traffic Association). If you select the wrong freight class and/or weight when quoting and schedule your shipment based upon incorrect information, you will have been quoted incorrectly. This will result in a change in shipping charge that you are responsible for paying. 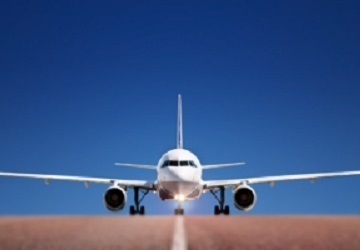 How is pricing calculated on Air Shipments? Obviously pricing for an air shipment will depend on many things such as; if it's a domestic or international shipment, the distance it is traveling and what type of service requested, but when it comes to moving air shipments, the dimensions and weight of each box/pallet is very important as well. The air carriers will measure and weigh EVERY piece that is being put on the plane to determine the exact dimensions and weight and adjust the pricing accordingly. Air Carriers base their pricing on dimensional weight or actual weight, usually in Kilos, whichever is greater. How is pricing calculated for Ocean Shipments? Just like an air shipment, pricing for an ocean shipment will depend on the distance the shipment is traveling and type of service requested, but an ocean shipment price is also calculated in a couple of different ways. If you are moving a Full Container Load (FCL), the ocean carriers will price the shipment based on you renting the whole container and as long as you don't exceed their max weight for that type of container, then you are ok. If you are moving a Less Than Container (LCL) load, then they will price the shipment based off how much space your shipment will take up in the container. LCL pricing is based off CBM's (Cubic Meters) and just like an air shipment, an LTL shipment will be re-measured and re-weighed EVERY time before it is loaded into a container. Put our Service to the test! Please allow Coast to Coast Trucking, Inc. and Coast to Coast Air, Inc. to provide you with a free, no obligation, quote for any domestic or international shipping need you may have.